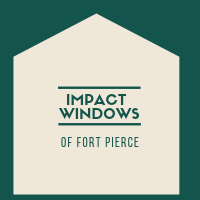 Impact Windows of Fort Pierce has the experience and expertise to protect your home with impact windows and doors quickly and engineered the right way. Our high quality windows provide maximum protection from hurricane damage to our customers’ families, homes and property. Please Call Us For a Quote, it costs nothing for a free quote, ever, but the savings and quality are huge! We have always strived for excellence in delivering the best products and superior customer service to our residential and commercial customers. Our goal is to build a lifetime relationship with every customer.